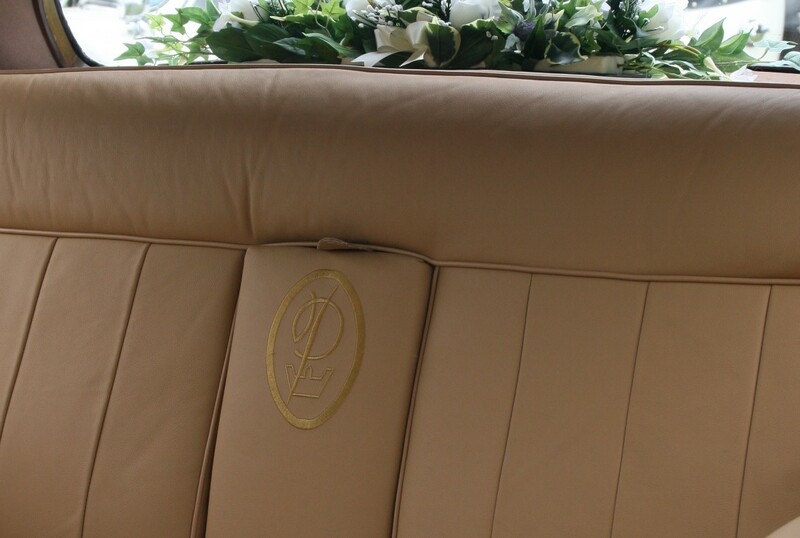 Close up detail of the Princess leatherwork. 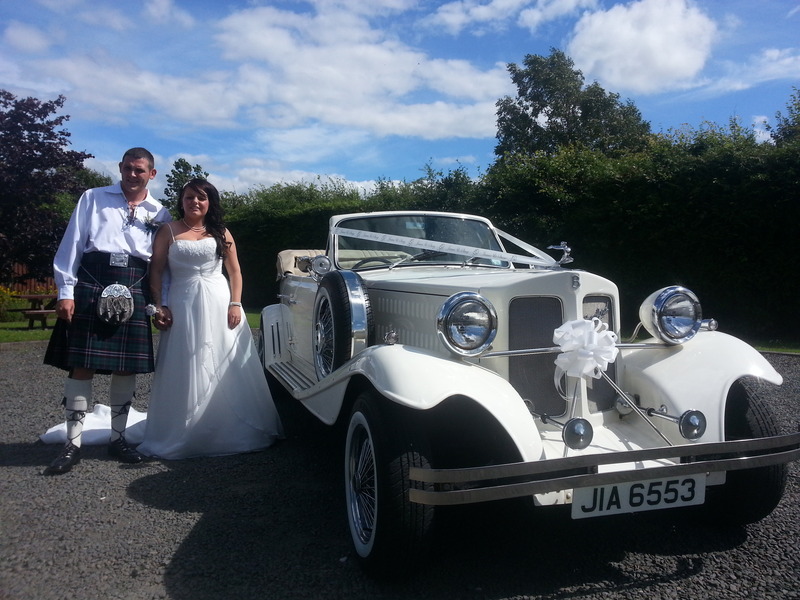 The Princess and Beauford together. 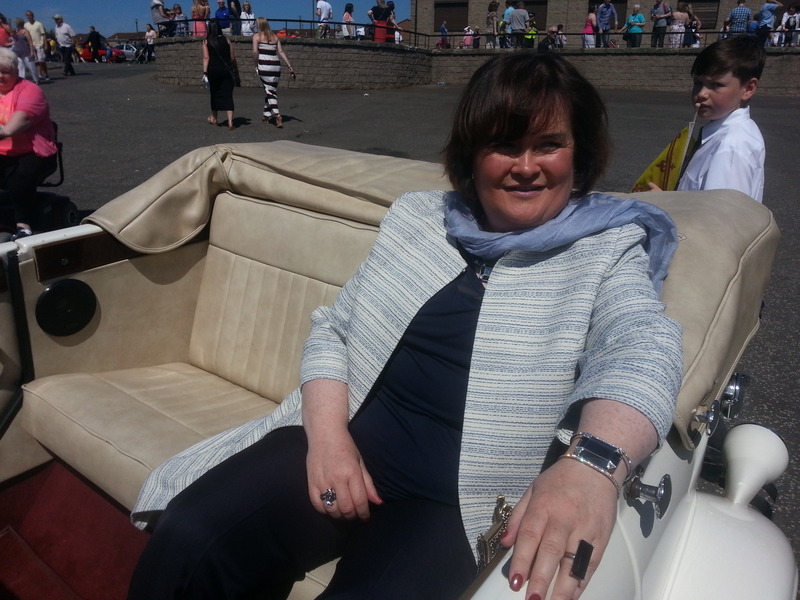 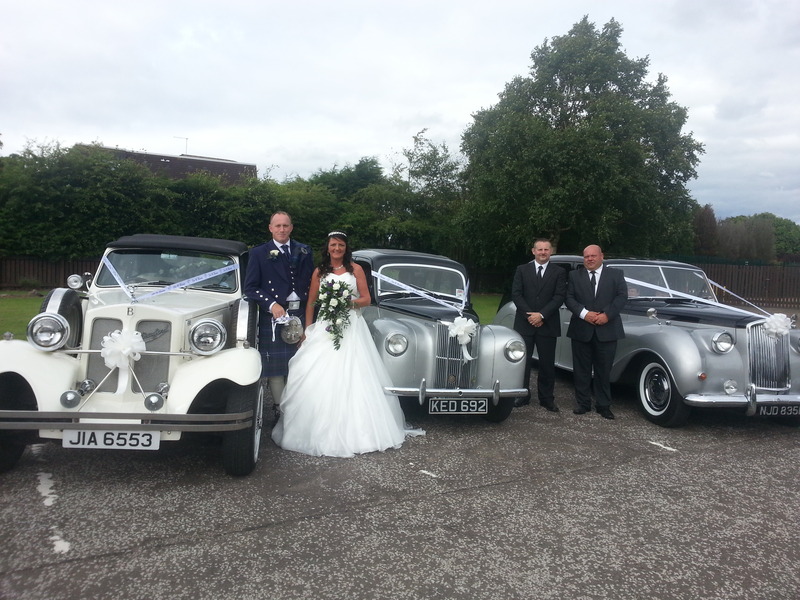 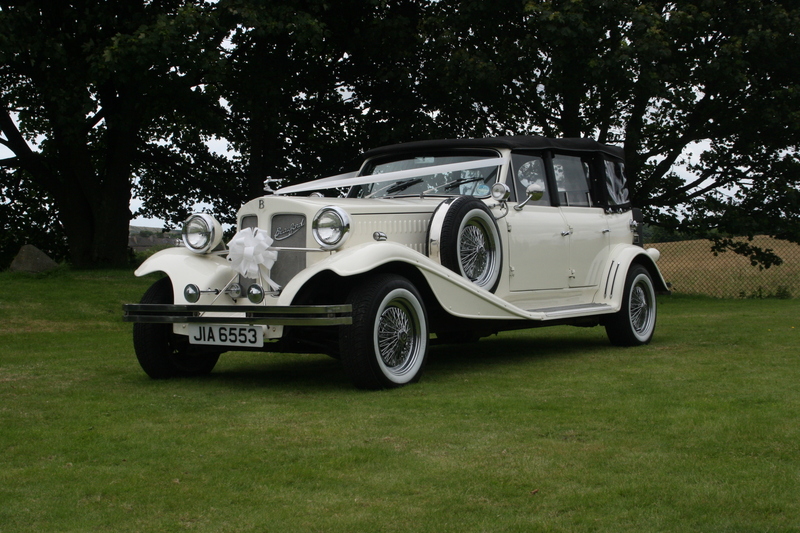 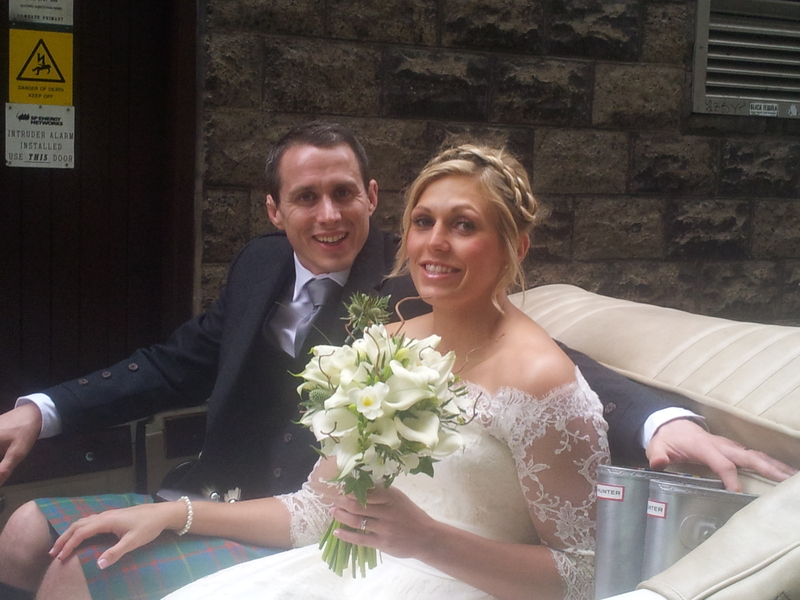 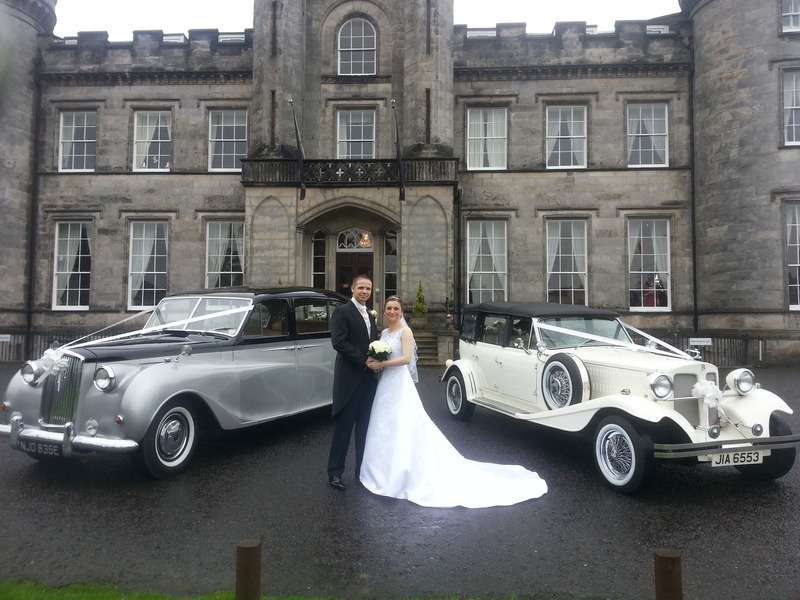 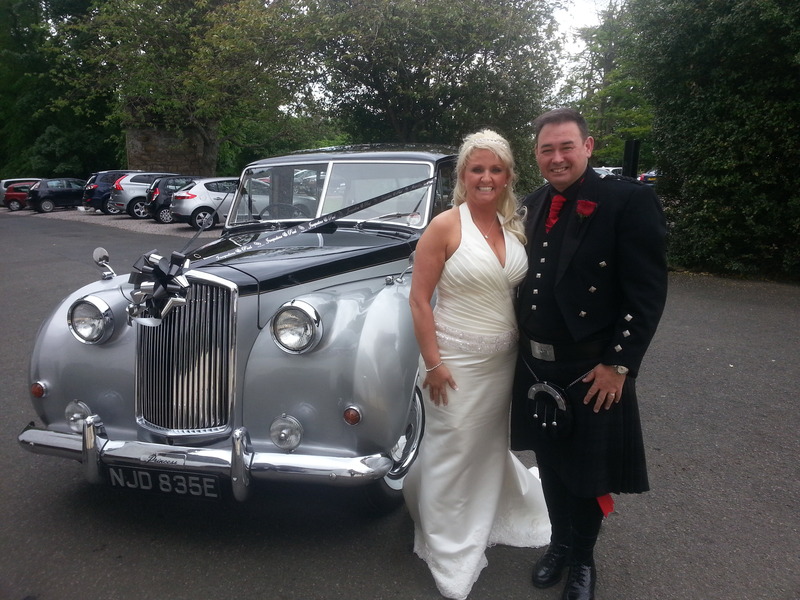 The "Princess Limousine, Beauford & Prefect"
"Mr & Mrs McIntosh with the beautiful Beauford"
DJ Classic Cars is a family run wedding car hire business based in West lothian. 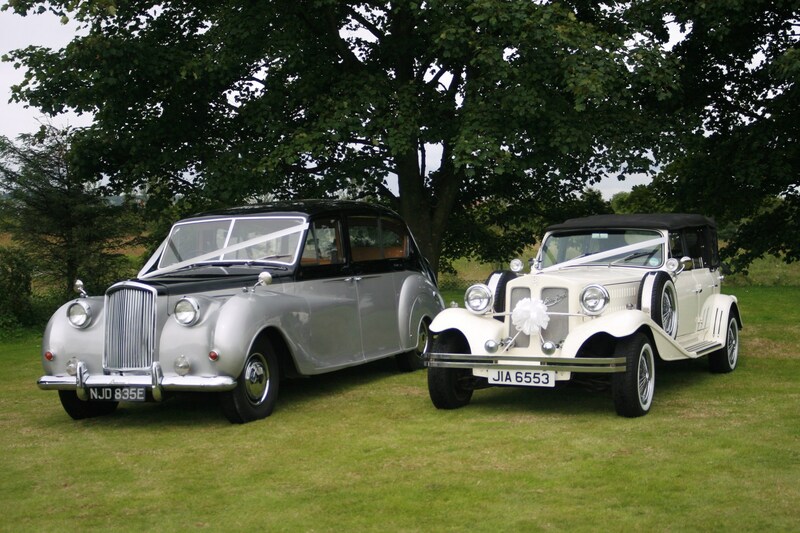 We pride ourselves in being classic car enthusiasts who run a classic car wedding hire business not a car hire business with classic cars. 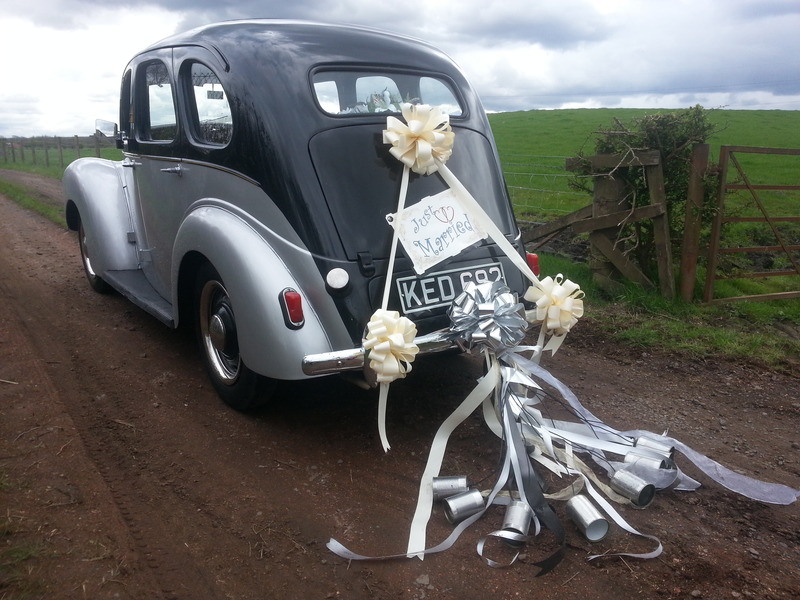 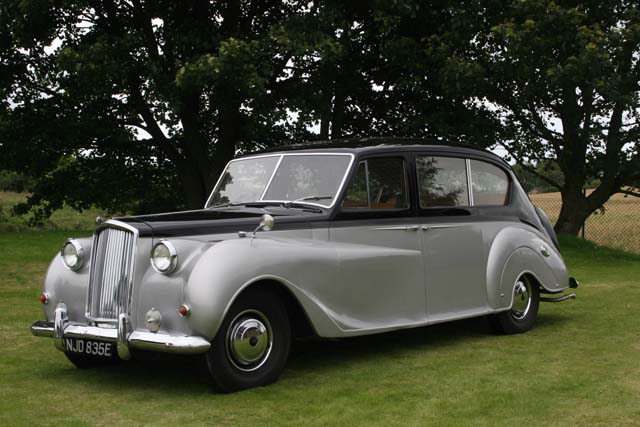 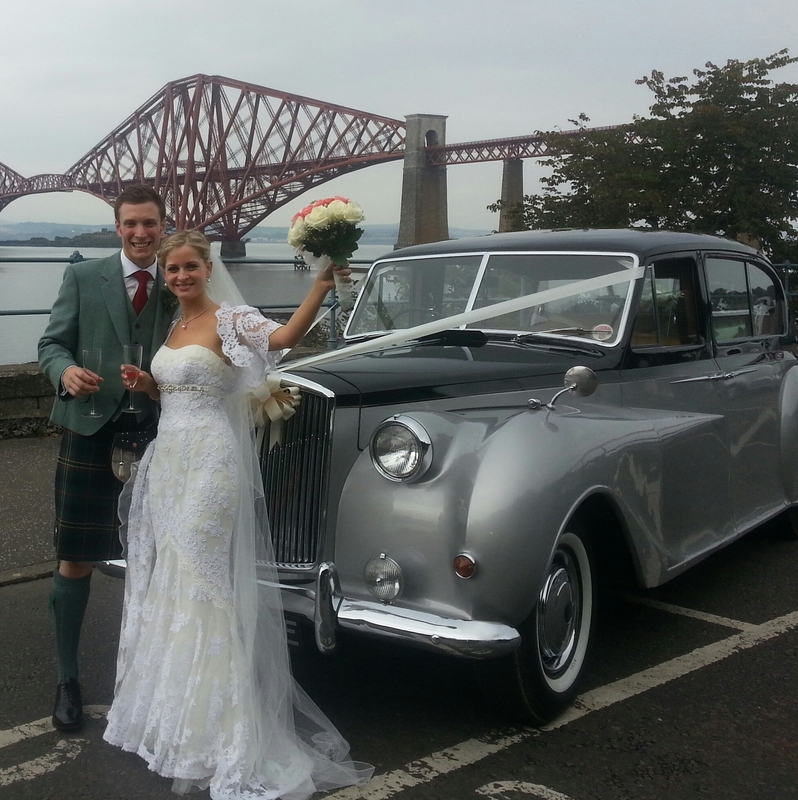 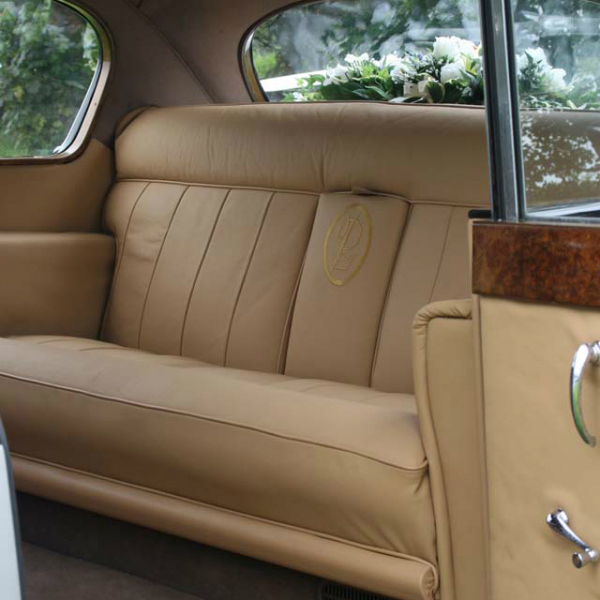 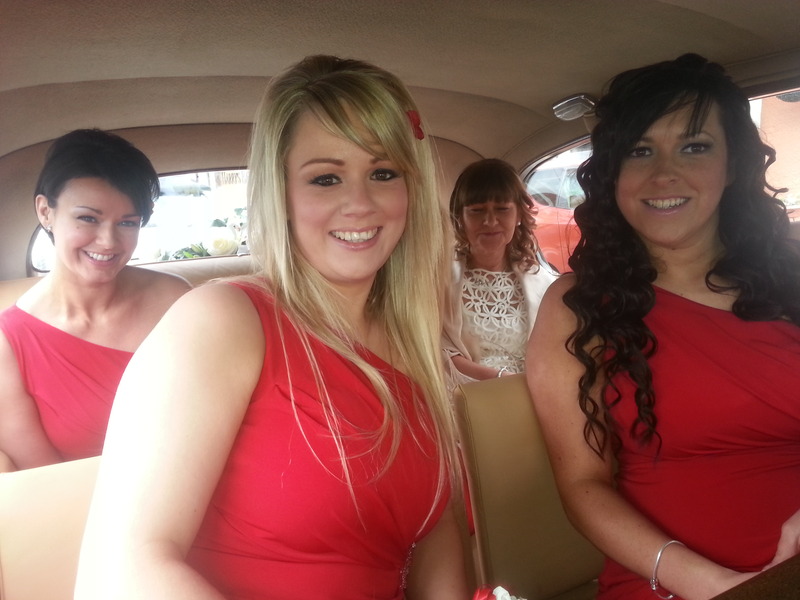 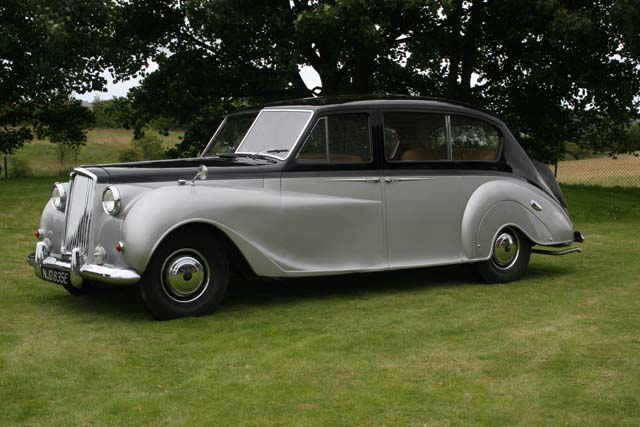 We provide a professional vintage style and classic wedding car hire service throughout central Scotland. 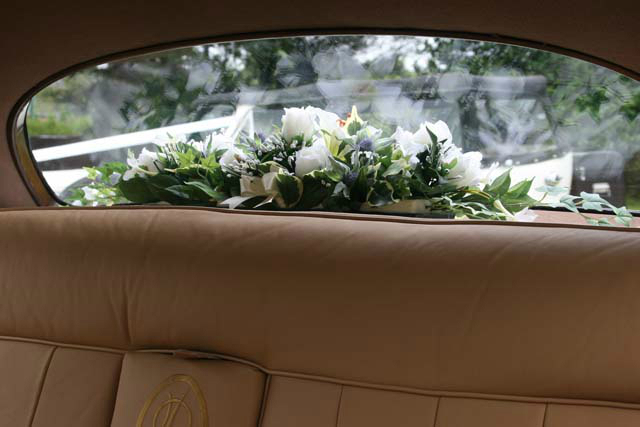 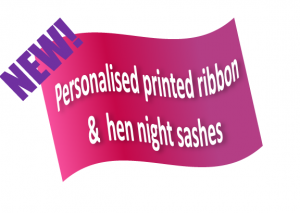 Your wedding is a special occasion for you and a very important day for us. 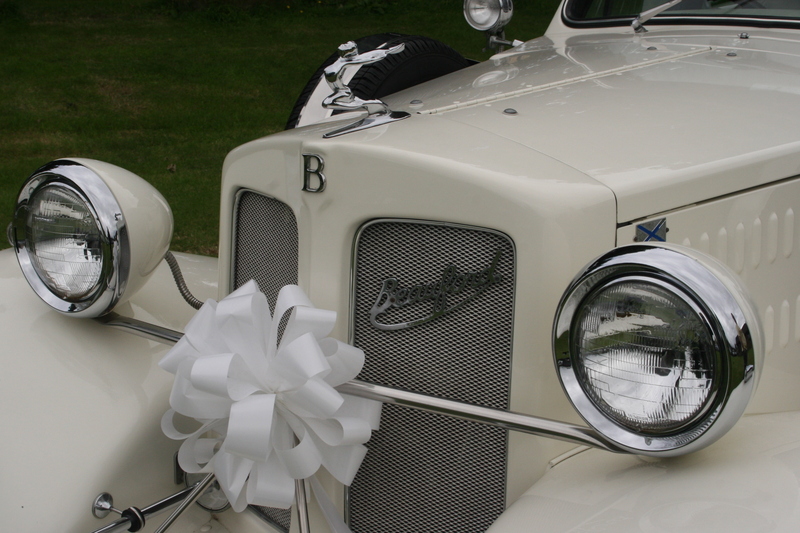 Classic cars, like wedding days, are rare and cherished; they are the added ingredient to a magical wedding day which you will remember for the rest of your lives. 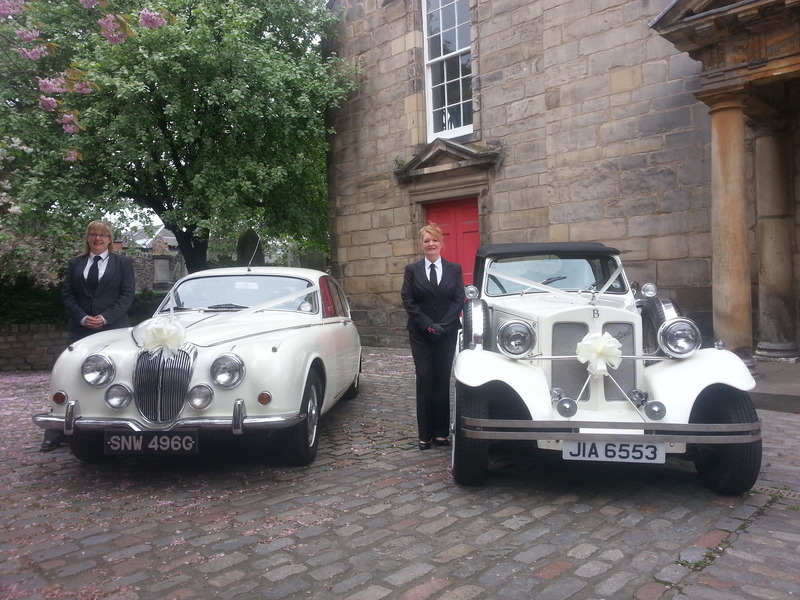 All our wedding cars are driven by friendly, courteous, smartly attired chauffeurs who will do all they can to make your journey run smoothly. 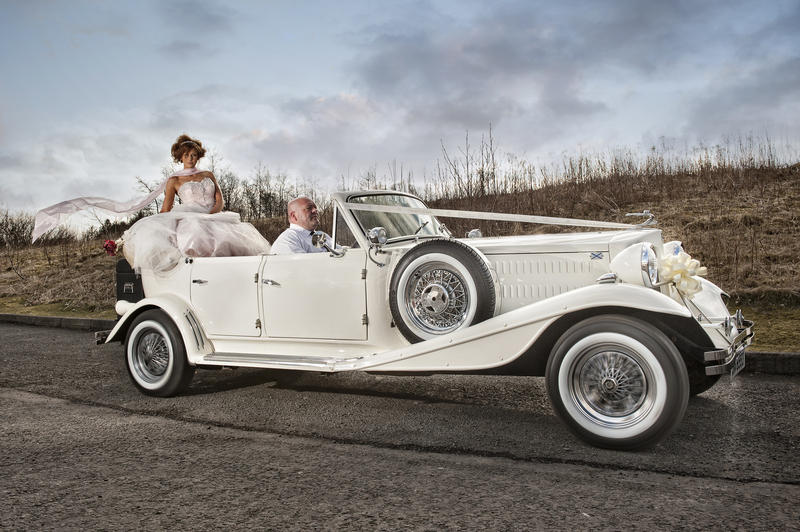 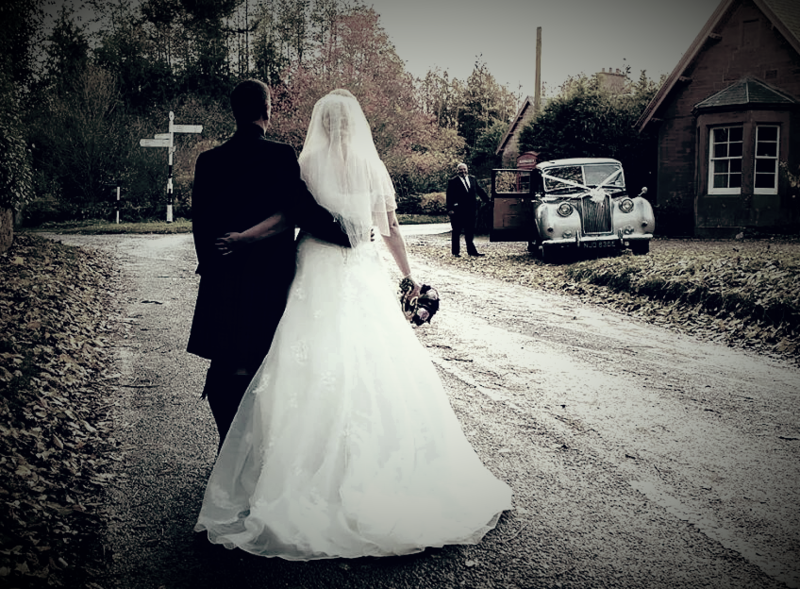 The aim of our wedding car business is simple: “To create a happy, unique and memorable experience for you and the one you love.” DJ Classic Cars takes pride in being able to supply you with a chauffeur driven classic car that will transport you to your wedding destination with grace and style.